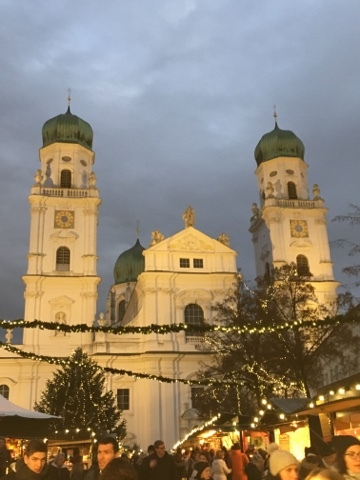 I know it's January and everything is go go go for 2017 but I just want to finish my write up of the Christmas markets I visited in Bavaria which you can read here! In the first post I covered Nürnberg, Fürth and Erlangen but this time im going to talk about some slightly further afield. 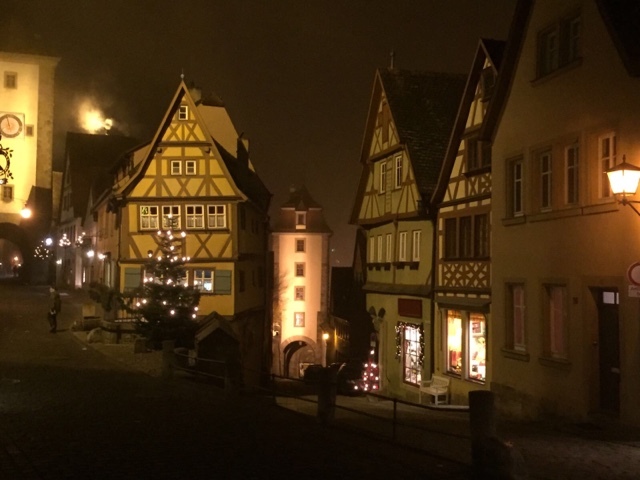 Rothenburg ob der Tauber: Rothenburg is honestly the most super-cute picture-perfect place I have ever been to. In the daylight that is, shame we didn't get there till 5pm after missing our train turning our 1 hour journey into a 3 hour one.... Travelling issues aside, walking through the town of Rothenburg was magical, you honestly felt like you were in a movie. More precisely chitty chitty bang bang which I think was partly filmed there. 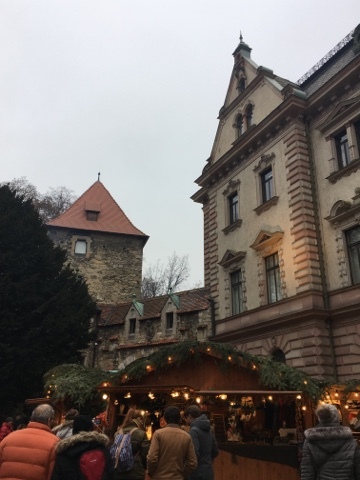 The Christmas market itself was held in the market square and had all the usual stalls selling food and Glühwein. What made the Rothenburg market special though was that there was a beautiful stall from Käthe Wohlfahrt who actually have their head offices in Rothenburg! (Check out their website here! If you love Christmas and have the dolla to spend their decorations are beautiful!) 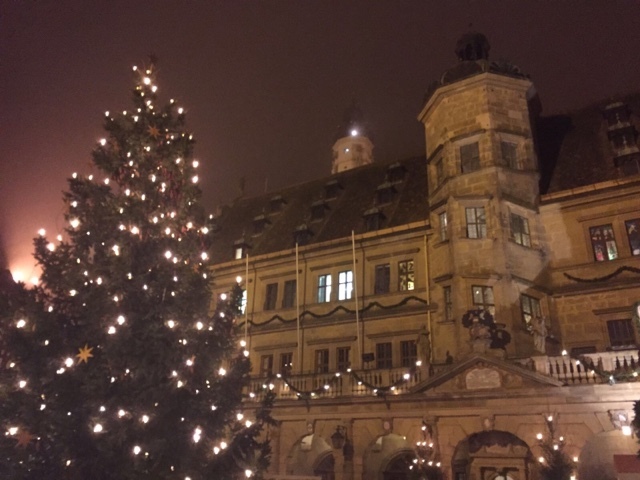 After picking up some Christmas presents and having a little wander round the town our short but sweet adventure in Rothenburg was over. I definitely want to go back but if I'm totally honest, I wouldn't say their Christmas market was a must see. The town itself is beautiful and it is of course prime Instagram material and although the market was nice with three train changes to get there it was a little bit of a faff. 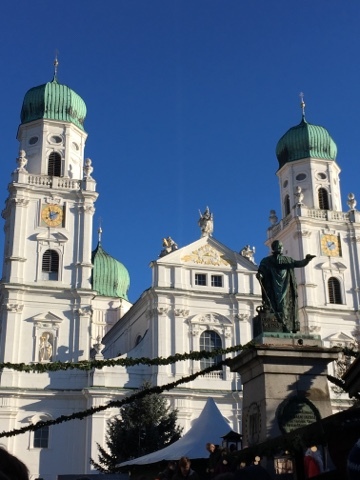 Passau: Now although I didn't travel to Passau for the Christmas market, I wandered round it a few times with my friend Louise who is spending her year abroad as a language assistant there. 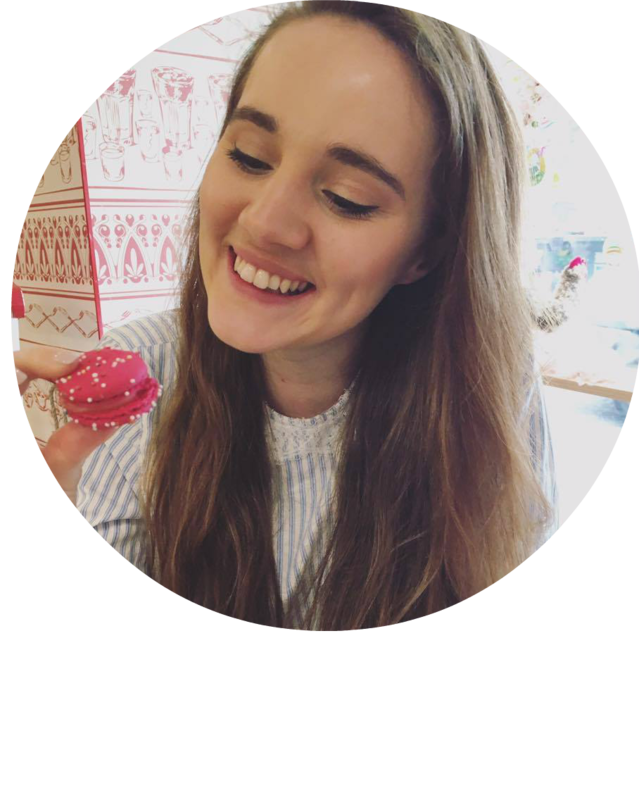 You can read her blog here! Passau is an absolutely beautiful little town - I wish I had written a proper post about it when I visited, I took some beautiful photographs (catch them on my Instagram @zaracollings ) and we did so many amazing things like taking a boat trip to Austria #casual. The market in Passau was pretty cute as well, lots of small stalls admittedly selling similar things yet ever so slightly different. It was in Passau that I first tried a half meter of sausage oi oi and also had my first ever kirsch liqueur hot chocolate! With a flying visit from Krampus, essentially the opposite of Santa who in legends punishes the children who were naughty that year, there was a really nice atmosphere and buzz surrounding the market. 2 hours away from Nuremberg it is admittedly pretty far and as you are unable to go on a Bayern ticket due to taking an ICE train it's not exactly day trip material. Yet, if you are in Bavaria and get the chance I would definitely say spend a couple of days in Passau. There really is so much to see and I am really looking forward to going back this semester. 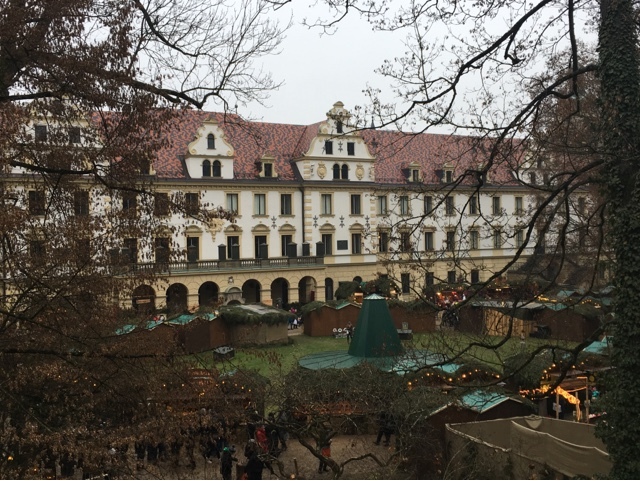 Regensburg: I actually visited two markets when I was in Regensburg, one in the Hauptmarkt and one in the gardens of the Thurn and Taxis castle. Now, this market was beautiful and it was huge but, it did cost me 8 euros to get in because it was a Saturday which is a bit of a rip off I would say. It was too cold to just sit about but once you had wandered round everywhere there wasn't much else to do. There wasn't a stage as such I don't think so I'm not sure if there was any entertainment on at any point which we just missed but after a few hours we were pretty done. There were definitely lots of unique stalls and some of the food on offer I had never seen before but nothing that was really worth the entrance price. If you do go though, they sold some sort of bread with cumin seeds (I think..) in it with cheese on top which were gorg! It was a shame because if it was free it would have been one of my favourites. Maybe it was just because this was the last market that we visited but I think everyone was a bit Christmas market'd out.